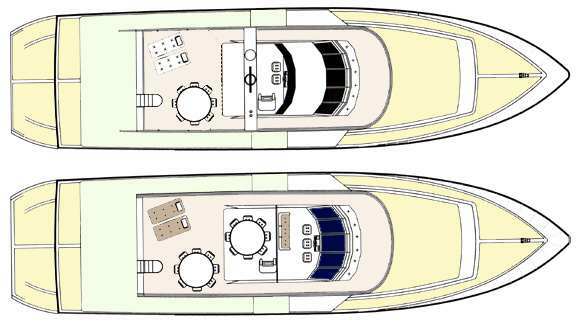 Each STUDY PLAN contains ALL the construction drawings for each material - FIBERGLASS as applicable to the particular boat plan - with up to 25 sheets per plan! Lists of materials - Technical information. The Euro 3200 can be built in either FIBERGLASS, ALUMINUM OR STEEL. The study plans cover the building of this boat in FIBERGLASS in considerable detail. If you are interested in either STEEL or ALUMINUM construction please email Bruce for additional details. Bruce Roberts designed POWERBOATS and TRAWLER YACHTS are available as cut-to-size kits and complete boats. Pre cut boat kits are all the metal parts required to build a complete boat. These parts are computer generated and NC Plasma cut before they are packed and delivered ready for you to start assembling and welding into the finished boat. We design and nest the package using our specialized computer programs, then cut on a computerized plasma-oxygen cutter. These kits are shipped world-wide each in individual containers. L.O.A. 32.30 m 106' 00"
L.W.L. 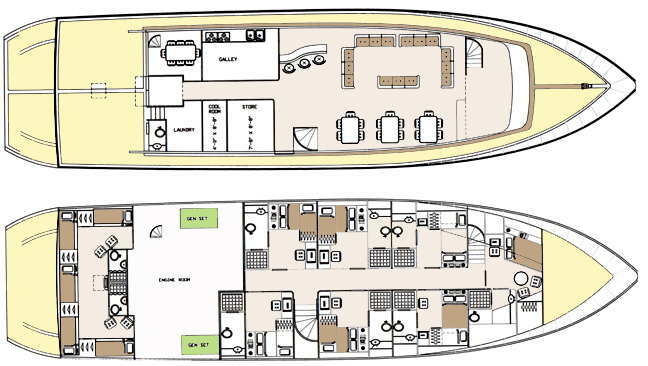 28.65 m 94' 00"
BEAM 8.23 m 27' 00"
Charter layout shown, alternate custom arrangements available to suit your requirements.